My study has lead to some insights I want to share with you in this blog series, "As Sheep Among Wolves". I hope you will follow along and find it helpful. You can subscribe or signup to receive an email each week with the tools in left margin of my blog page. Our guiding scripture throughout this series will be Matthew 10:16-20 where Jesus told his disciples of the great need for wisdom among believers. The key verse for us is verse 16. Jesus said, "Look, I am sending you out as sheep among wolves..." The early Christians lived in a time when they were a tiny minority in the communities around them. Their ideas were very new and radically different. Today, we might describe religious groups who are very new and radically different as "cults". We see a cult and are wary of their ideas because they may seem dangerous, fanatic, and very different. Well, that's how people in the first century saw the new Christians living among them--they were like a cult. Even though they were full of love and as harmless as sheep, their radical new ideas ideas were threatening to some and Christians were completely committed to their beliefs--even willing to die for them. Non-believers often persecuted the Christians they feared. They seized Christian's property, arrested them, tortured them, and even killed them. 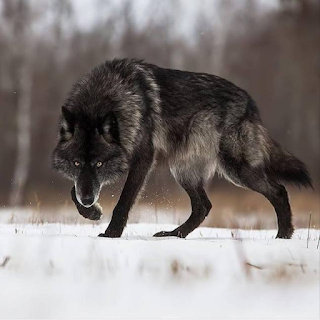 So Jesus wanted his followers to have wisdom to stay safe among the "wolves" living around them. He said, "you should be as shrewd [i.e. wise] as snakes..."
It's not normally a compliment to be called a snake. Most people don't like snakes, but snakes have to be cunning. I mean, they don't even have hands and feet. I would be in a pickle if I didn't have hands and feet, but a snake get's by just fine by sneaking around, staying out of sight, and stalking it's prey. It has to be wise because that's the only way it can survive. Thankfully, we don't live in the first century when everyone was trying to kill Christianity. However, our world can still be a dangerous place. Though most people in America claim to be Christian (or at least espouse tolerance of the Christian faith), it can be really hard to see who is a true believer (a sheep) and who is really a wolf in disguise. There is evil in our world and it sometimes comes from the very people we consider safe. One week people are proposing teachers should be given guns to protect our schools from people like the teenager who gun down 17 students in Lakeland, FL. The next week, it is a teacher in Dalton (where I live) who brings a gun to school and barricades himself in a classroom and fires the weapon through the window. You begin to wonder who you can trust and if you can really trust anyone. And so Jesus also said, we should be "as harmless [i.e. innocent] as doves." We must resist the urge to be paranoid and cynical. We must continue to see the best in people and have hope that God's goodness will win out. And this all takes great wisdom because the stakes are very high. So let's go to Proverbs and see what God's word has to offer about the difference between a wise person and a fool. Proverbs 10:14 (Pastor Chris’ Paraphrase) – A wise person soaks up all the knowledge they can, but a babbling fools is too busy talking to learn anything and might walk right off a cliff. Someone once told me: “Knowledge is knowing a tomato is a fruit; wisdom is not putting it in a fruit salad.” There are many different Hebrew words used for wisdom in Proverbs; they all have slightly different meanings. 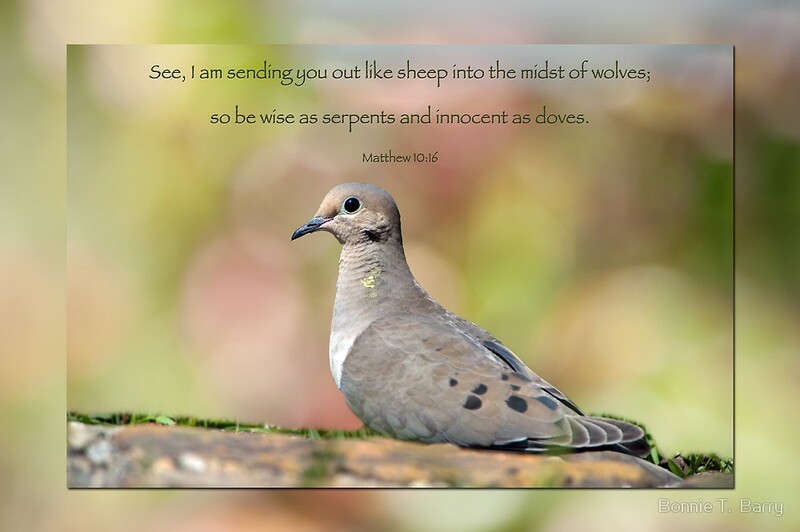 Wisdom can mean: being lead by God’s Holy Spirit, well-informed, making wise decisions, someone who is careful, or someone who knows the way things really are. In Proverbs 10:14 the word for wisdom is ḥâḵâm (חָכָם). Hakam describes someone who is smart because they know how to do things skillfully and artfully. In other words, they don’t just do stuff; they do stuff right. Someone with hakam wisdom is careful. They take care as they accomplish projects. They don’t make mistakes that cause other problems. You know, it's not just about getting things done. If you get things done but ruin other projects or relationships in the process, what have you really accomplished. Wisdom is getting things done while building everyone and everything up. Hakam also carries the idea of being cunning and subtle (like a snake). Someone with hakam wisdom doesn't draw attention to themselves. They accomplish things without people even knowing what happened. Bishop Bevel Jones was one of my seminary professors after he retired from being a bishop of the United Methodist Church. I really enjoyed his class. I saw him coming out of a busy conference center one day as I was going in and I decided to shake his hand and tell him how much I appreciated his teaching. Bishop Jones eagerly grasped my hand and pulled me along with him as we talked. He was very gracious as I expressed my gratitude. He seemed genuinely pleased to speak with me for a few moments and I felt glad to have had a chance to talk with him. When we broke off our short conversation I realized, I had spent the last couple minutes walking away from my destination and towards the Bishop's. I hadn't even realized what he'd done, but he had redirected me to walk with him and I had been glad to do it! So I had to walk back to my destination while the bishop hadn't missed a stride the whole time. Now that, my friends, was the a bishop's subtle wisdom! The opposite of a wise person is a fool. How would you describe a fool? Someone who’s dumb? Someone who’s always clowning around? Someone who just doesn’t get it? There are many kinds of fools. Technically, you could describe a two-year-old as a fool. That’s not a bad thing, they’re just not old enough to know any better yet. The word Proverbs 10:14 uses for fool is wîyl (אֱוִיל). A wîyl fool is someone who is immature (in the sense they haven’t grown up yet). It’s one thing for a two-year-old to be immature; that’s normal. But a wîyl fool is old enough to know better, yet they deliberately refuse to grow up. A wiyl fool despises wisdom. They are actually proud of their childish ways. They may even boast "I'm just a simple man. I ain't like those ivory tower college boys!" A wiyl fool often uses jokes and sarcasm to avoid learning from their mistakes. They will laugh and make fun of people who try to hold them accountable. These kinds of fools are arrogant and argue when you try to teach or correct them. “Ain’t nobody can’t learn me nothin’!” And because of their attitude, wiyl fools make bad decisions and get into all kinds of trouble, repeating the same mistakes again and again. Meanwhile, they're always blabbering about how everyone else is wrong and how they're the ones who really know--as they're walking off a cliff right in front of them. Remember, we are like sheep among wolves. So we need to be as wise as snakes. The stakes are high. It’s dangerous out there so don’t be a fool! Pray for wisdom. Study God’s Word! Learn all you can. You need wisdom to survive! I need wisdom too. That's why I’ve been studying Proverbs. There’s so much good stuff in there. Let me share some of what I’ve learned about wisdom so far. Second, to learn wisdom, you must be willing to listen and learn. It’s hard to learn while you’re talking. (That’s why God gave you two ears and only one mouth.) You have to realize you don’t know it all and you don’t have to pretend you do for others to respect you. “A wise person speaks because they have something to say. A fool speaks because they have to say something.” (Plato) You don't have to say something. You can choose to stay silent. Talking too much can get you in all kinds of trouble. And even someone who hasn't got a clue seems intelligent if they just keep quiet. On the other hand, people who try to prove how smart they are by always talking about it, usually prove just the opposite. Third, it is wise to learn to control yourself and your impulses. Don’t let emotions be the primary driving force of your actions Emotions have their place as one of the tools in your personality, but they're not meant to be the primary way you make decisions. People who "follow their heart" often walk right off a cliff. Your heart is not as smart as your brain. So let your heart inform your brain, but let your brain make the decisions. And of course, remember wisdom all begins with an awe-inspired relationship with God. So let God’s Holy Spirit guide you to use the reason and wisdom God gives you. And please, be careful! Don’t mistake your personal emotions for the Holy Spirit. Just because you heard a song and it gave you goose bumps doesn't mean it was the Holy Spirit telling you to do something. Maybe it was just a really good song. So test what you think the Spirit is saying. Check the Scriptures. Ask a really good Christian friend what they think--someone you know will tell you the truth even if it's not what you want to hear. We need wisdom. What can you do to get more? Pray and ask God to give you wisdom. Spend time with Him everyday. Maybe you would like to read through Proverbs. That's a great way to learn wisdom from God. Perhaps you'd like to join me here on my blog each week as we contemplate wisdom from Proverbs. I hope you will.